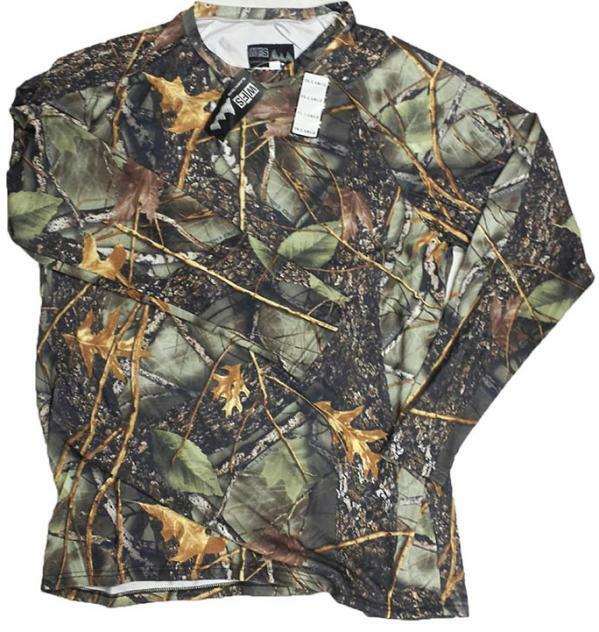 With the help of Burly Camo, we've got another long sleeve option -- BASELAYERS. It's like Under Armour, but without the price. These are very stretchy. They have better scent control properties than organic fibers, and hold the pattern longer, wash after wash. This poly-microfiber tends to not hold moisture like, and dries quicker than, cotton. Comfortable year round. This is PERFECT for layering, too. If you're gonna be lethal, might as well be comfortable!